Travelling with a chronic or long term disease can present some challenges and limitations but it should not mean that you are unable to travel. We recently travelled with a friend, who has severe C.O.P.D in Europe and the U.K. many of the health and travel tips in the article are based on our experience and Cath’s many years as a nurse. 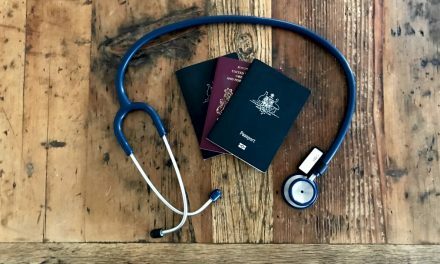 what to do if you have an exacerbation of your disease whilst travelling. Chronic Obstructive Pulmonary Disease or C.O.P.D is a chronic disease of the lungs. It is also known as COAD or Lung disease and encompasess Emphysema, Asthma and Chronic Bronchitis. It has varying stages from mild to severe and is best characterised as shortness of breath, both at rest and/or on physical exertion. Always see your Medical Practitioner prior to travelling. Our Travel Health-Planning Your Trip blog post lists all the information you need to discuss with and get from your Health team. You may need to consult with your Respiratory Physician prior to flying, it is likely that you will need a “Medical Fitness to Fly Clearance“. The Australian Lung Foundation has a great resource for those with C.O.P.D, which outlines how to obtain this clearance and why you might need it. Just click on this link to access the fact sheet. Ensure all your vaccinations are up to date, including an influenza vaccination. Remember if you are travelling overseas, it might be flu season. Consider the destination where you are planning to travel. Altitude, humidity and heat can cause respiratory distress or difficulty, have a plan in place for dealing with these factors. Ensure that you have an up to date C.O.P.D ACTION PLAN, you can download an editable plan here. If you require in flight oxygen, check with the airline about equipment and costs. Do this by phone and on the airline’s website. Request a seat close to the bathroom on long haul flights to lessen your chance of becoming short of breath. Increase your exercise tolerance e.g. if you plan to do more walking than normal or think you may be using public transport, start walking a couple of months before your trip so that you have some fitness. You may need to consult with your Doctor and an Exercise Physiologist before embarking on any exercise regimen. On our recent trip in Europe and the U.K. we walked between 5km and 10km a day whilst using public transport. Plan your itinerary carefully to include time for rest and relaxation to avoid becoming stressed or increasing anxiety. Ensure your travel companions are aware of your disease and your C.O.P.D Action Plan. Ensure that you have enough medication for your whole journey, including any medications you may need for an unexpected illness e.g. I always have some paracetamol in my first aid kit, in case of fever or headache. Our Managing Your Medications blog post has more tips for you, just click on the link. Know how to access healthcare in your chosen destination e.g. 000 will not work overseas. 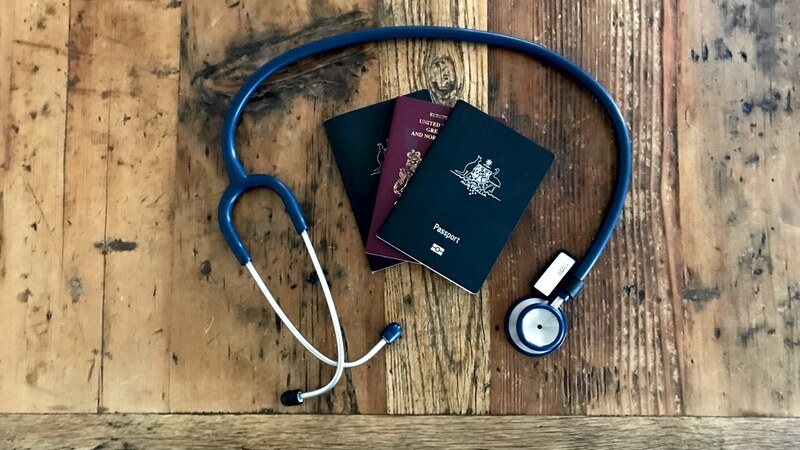 You can read more about Accessing Healthcare Overseas in our blog post, here. Limited ability to walk may reduce your access to public transport in some cities e.g. you may need to walk up and down multiple flights of stairs to access underground trains in many European cities. Check if the stations near your destinations have lift access or consider other options like buses, taxis, Uber. Use a mapping program to check the distance between sites and plan your time accordingly. This may mean you need to prioritise which sites you see in a given city. We like to use Google Maps (online) or HereWeGo (offline), both of which also show public transport options. Time to rest and recover from a long flight or sightseeing is a must for any traveller but of particular importance to those with COPD. 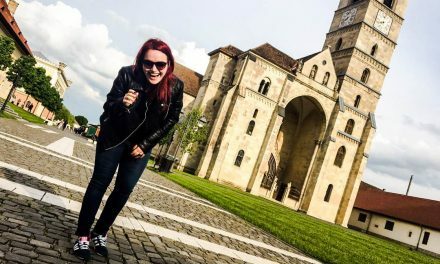 On our recent trip our friend found that having a break during the afternoon/early evening, enabled us to see the sites we wanted to see and allowed a night out too. Siesta is perfect for managing fatigue. Consider having a few days where you relax and do not over exert yourself. These days can be useful for catching up with washing, talking to family at home, updating your travel journal or planning the next part of your travels. Try to avoid feeling stressed or anxious at times like this, by giving yourself plenty of time to familiarise yourself with a new destination. Practice using public transport at home before you leave and learn a few basic phrases in the appropriate language. Google Translate is a great App to have on your phone and we have used it on many occasions. The advice contained in this post is general advice and should be discussed with your Medical Practitioner before you travel. If you have found this information useful please share it with your friends, family and others using the Social Media buttons below. You can contact us or leave a comment below if you would like to discuss this information further. And if you thought it was really great information, please use the stars at the top of the post to give it a rating. Hi. In your travels did you find places that your COPD friend found particularly good? I’m in the UK so holidays are basically Europe, but it’s very easy to get somewhere and find it’s much hillier than you thought it would be! I can’t find much online about places that are reasonably hot (i.e. not the Netherlands!) but fairly flat. This post is really helpful to someone suffering from C.O.P.D as well as anyone having health conditions. It becomes really difficult and hard to handle when our dear ones suffer during travel. These tips can really make their trip enjoyable. Have pinned the post. Thanks for sharing. Hi Trupti, thank you for commenting and pinning this post. You are so right it is difficult when our loved ones are unwell especially when travelling. I can see how traveling with this condition is challenging, but I love reading about people’s determination to overcome obstacles. And traveling some place exciting is a great reward! Hi Taryn, thanks for commenting. You are so right travelling is a great reward and with a little bit of careful planning we can still travel through illness and even as we age. Very well thought out process and planning to accommodate for illness. May I link to this in my weekly email? Thank you for writing this! 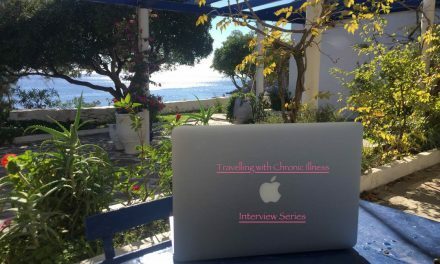 There need to be more articles about traveling with illness, etc. Definitely, support you and really appreciate you writing this. Happy travels! I don’t have C.O.P.D but most of these tips are still good to know when traveling. Thank you for sharing these. This is such a useful post with many informations. I am bookmarking this post. Wonderful write. Hi Jayashree, thank you for commenting and bookmarking this post. We really appreciate your support. Wow, never thought about all of that, great article, thanks for sharing.